Happy Saint Paddy's Day! We aren't doing anything super special to celebrate this holiday since it falls on a Monday this year! Instead, I have been reflecting about how I am so LUCKY to be blessed with this life that I am living! Lacie Jane and Blakely Hope are my two greatest blessings. I feel incredibly lucky that I get to be their mama every single day! 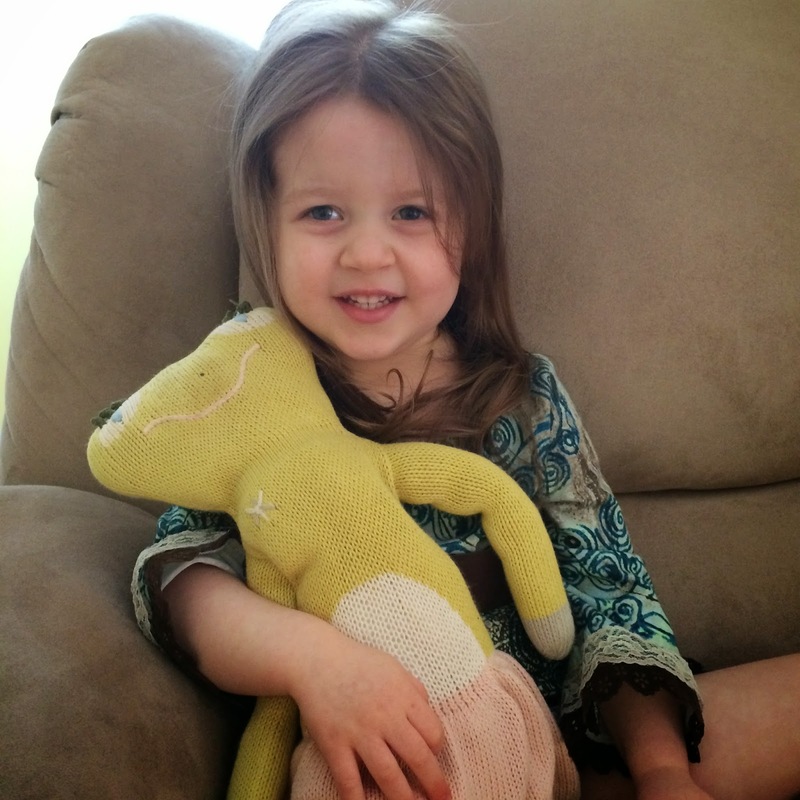 They are getting so big so fast and I am just trying to cherish every second that I get to spend at home with them! The best feeling in the whole wide world is walking into their room in the morning, picking them up out of their cribs, and getting snuggles and kisses! I am truly lucky that I get to call this little foursome my family! I am blessed with so much love and laughter! And yes this picture is from Christmas. No we have not taken a picture of all four of us together since! We should be much better about that! Finally, I am so lucky that I get to call John my husband! He is, without a doubt, the best husband I could ever ask for, and I am so lucky that fate brought us together! I love watching him be a Daddy to our two girls every single day! 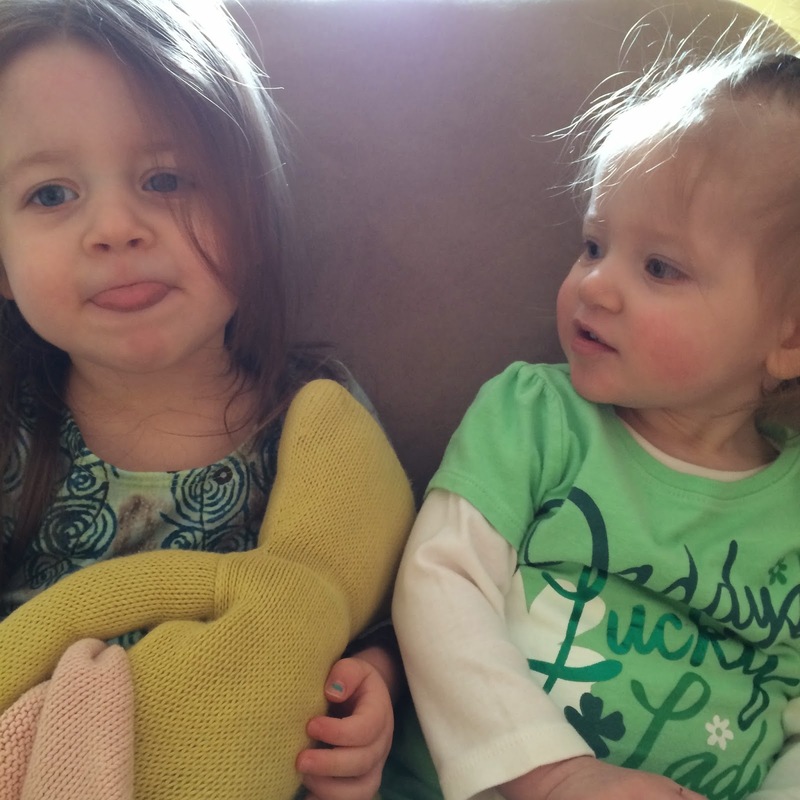 Just for fun - A look back at St. Paddy's Day from 2013! I can't believe how little they were - especially Blakely! What a difference a year makes! 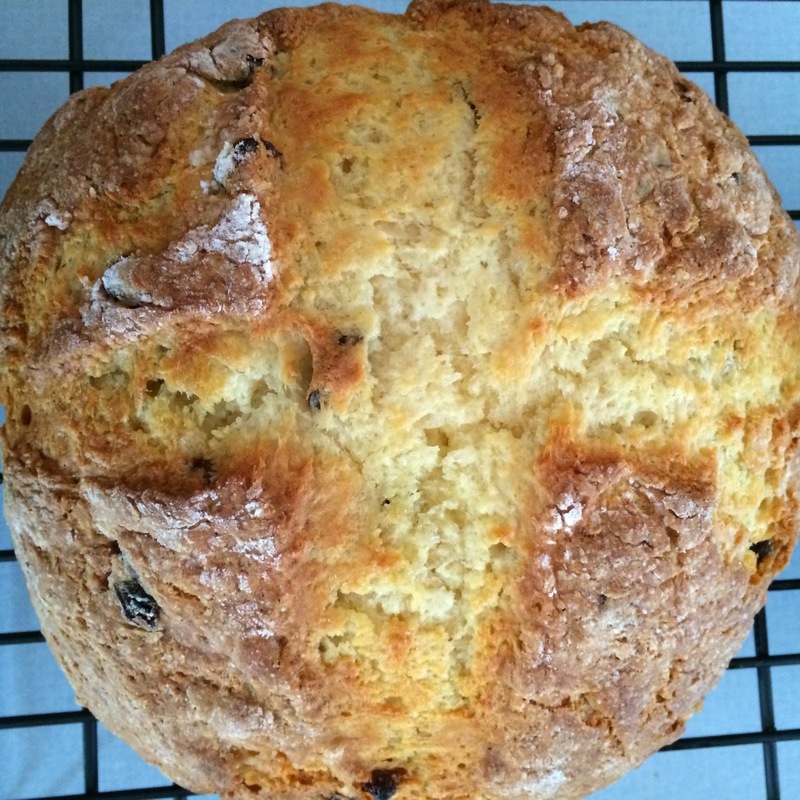 If you are looking for a last minute St. Paddy's Day treat, you could try whipping up a batch of my Irish Soda Bread! It is super simple and super delicious! I also makes 2 loaves!!! Click here to find the recipe. 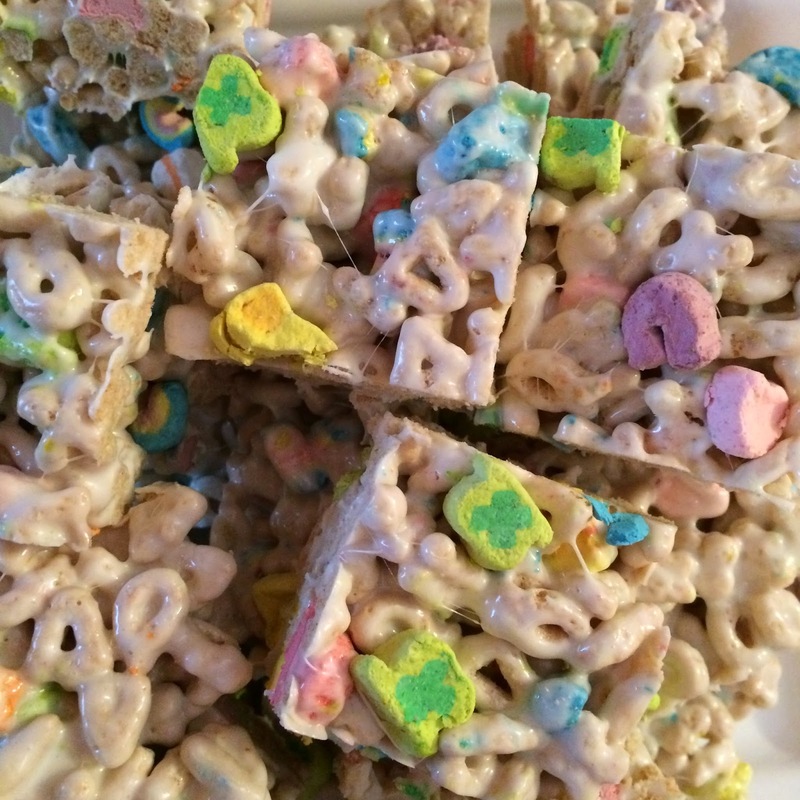 If you want to make a fun desserts that both kids and grown ups will enjoy, try making a batch of my Lucky Charms Treats! They are just like rice krispies treats but with a fun St. Paddy's Day twist! Click here for that recipe! I hope you are feeling LUCKY today!